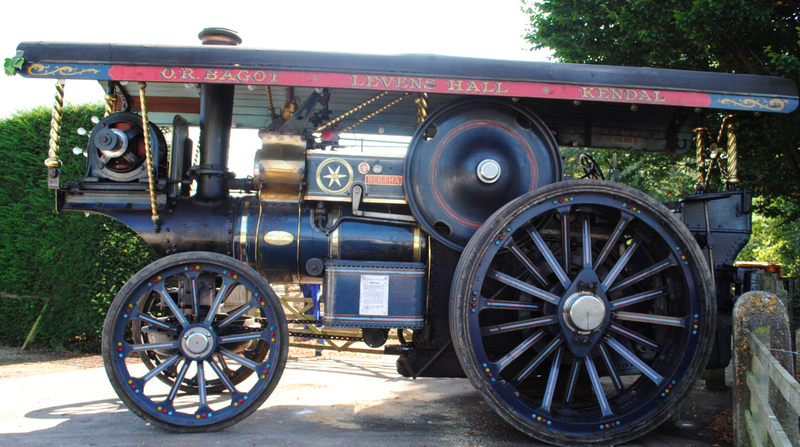 The fabulous Road Locomotive above was built in 1920 by John Fowler & Co (Leeds) Ltd as a Showman’s Engine. 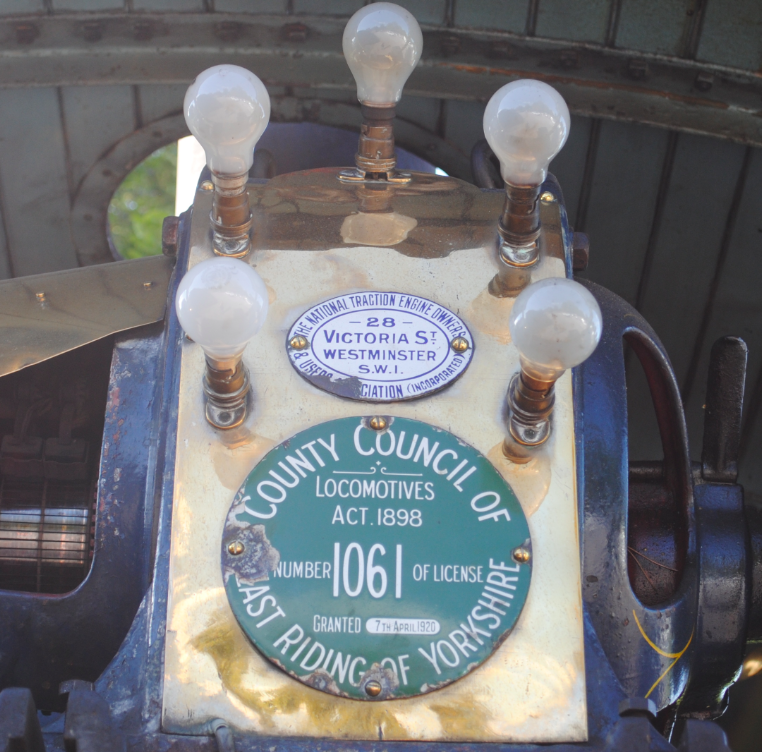 This engine, No: 15115, is what is known as a class R3, 8hp, compound, spring-mounted, 3 speed Showman’s Road Locomotive. 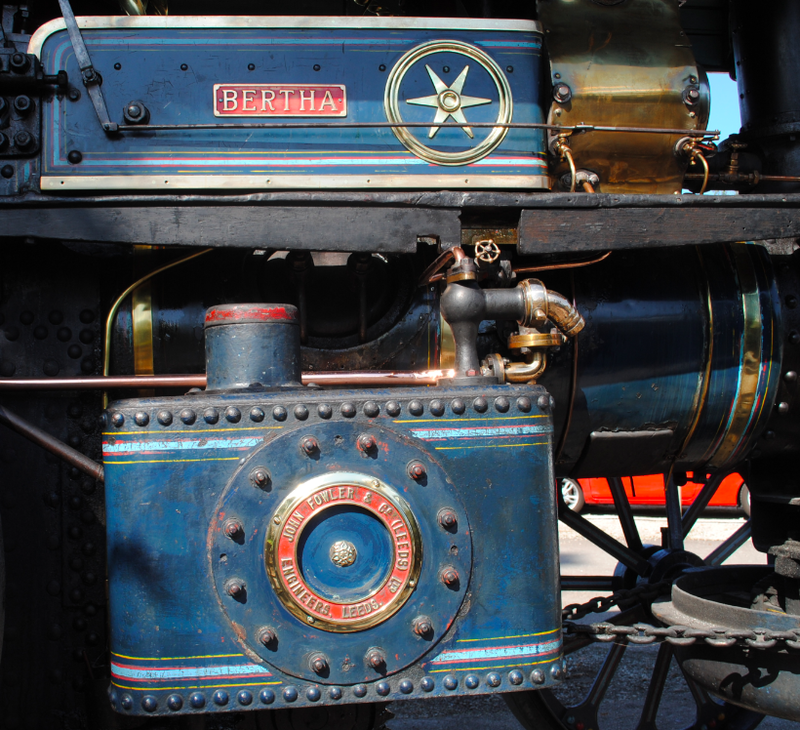 Named Bertha, she was sold on 1st April 1920 to John Wyatt of Stoke on Trent. John used her for 23 years with his travelling amusements first to work on his four abreast galloping horses and later, on the more modern rides. In 1943, Bertha was sold with a “swirl”, a contraption with little cars on the ends of long poles free to swirl about as the poles revolve around the centre. The new owner was Mrs Beach of Maidenhead who used the engine for some years before being superseded by a diesel tractor. After lying derelict for a time at Longford in Middlesex, Bertha was purchased for preservation by the Rev. David Atkinson of Gerrard’s Cross. Bertha eventually moved to Lt. Com. Baldcock, a well known engine enthusiast in Liphook. After carrying out a considerable amount of preservation work, Lt. Baldcock parted company with Bertha to Messrs. Pegden of Elham in Kent. Renovation work was carried out by these engineers and was completed just in time for the Shottesbrooke Park Fair in 1964. Messers. 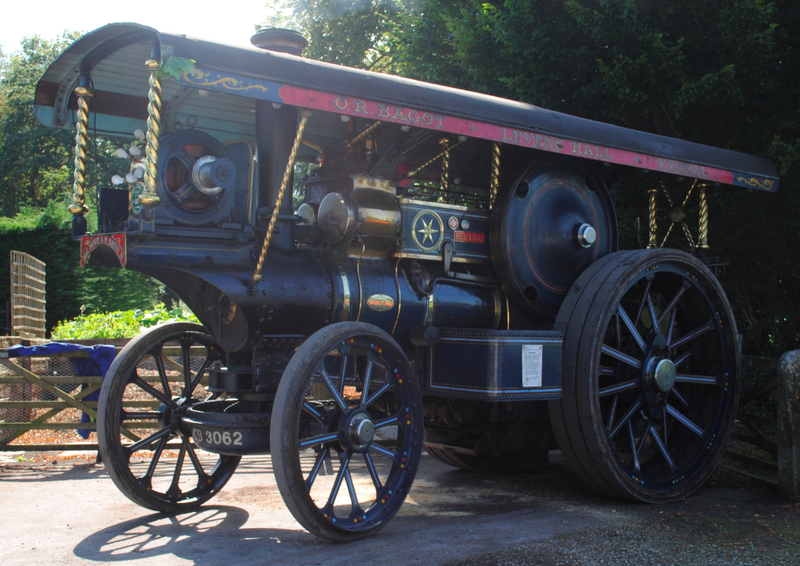 Pegden sold Bertha to the Bagot family at Levens Hall in 1967 where she has been on display ever since. She is in steam, weather permitting, throughout the open season.